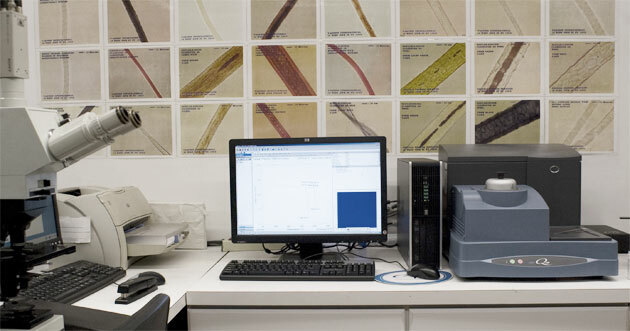 The Vartest fiber analysis laboratory is equipped with a wide range of the latest technology available. The department is regarded as one of the most capable fiber analysis laboratories worldwide and is staffed by highly qualified and experienced scientists in the textile fields of textile technology and chemistry. From SEM identification of cashmere fiber and other specialty fiber to identification of chemical finishes, Vartest is the No. 1 choice in the U.S.A. Our comprehensive fiber reference library is second to none. Using propriety patented technology granted under US Patent 7,833,568 B2, along with polarized light Nomarsky differential interference contract plus micro x-ray spectrometry and pseudo color elemental maps, Vartest provides the ability to objectively and quantitatively evaluate natural, artificial, and synthetic fibers to 50,000X. Vartest has earned an excellent reputation for its ability to perform a wide range of Fiber Identification and Fiber Content Analysis using AATCC, ASTM, ISO, and IWTO test methods and procedures. If an item requires basic analysis to determine that it is 100% cotton or rayon, a one-fiber price is charged. If the test result shows, for example, that the item also contains 10% spandex and/or 30% polyester, the price increases accordingly. Where non specialty blends such as polyester/cotton and silk/linen/polyester are involved charges are as follows: charge for the first fiber, and charge for each additional fiber identified. Specialty blends such as wool/cashmere and ramie/cotton are more complex and are billed at a specialty price for the first fiber found, and for each additional specialty fiber type identified. 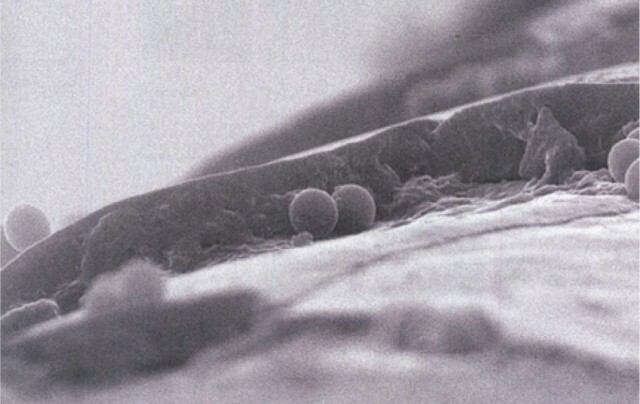 If scanning electron micrographs are required, there is an additional charge. Where exhaustive analysis is required in cases such as disputes over content labeling, multiple analysis techniques such as Scanning Electron and Fourier Transform Infrared microscopy may be used and additional charges will apply. We have investigated DNA analysis of specialty fibers and found it to be more of an expensive forensic method than a commercially viable and acceptable procedure. Blend composition costs are determined by the number of and type of fiber classifications involved. Product disassembly is sometimes required which can incur additional charges, depending on whether it is needed for garments, dresses, sweaters, socks, or complex barre fabrics. Because the price is determined by the required test protocol, it is frequently impossible to predict the precise cost of a test report until it is completed. Wherever possible, we ask that clients use the Vartest submit form so that detailed information in all aspects of the submitted items and requested tests can be entered into our computer system and thereby accurately included in the test report.